Rambling Through Parenthood : Blog Self Assessment - How Was 2017 For Your Blog? There is no point in me dwelling on what has happened in my life either. What is gone, is gone. There is little to be gained by mulling over the past or worrying about the future. The idea is to live in the moment. Instead, I will focus my energies to look at what 2017 meant for my blog. I will treat it as a sort of blog self assessment, something that will help me take stock and plan for the coming year. 108 (109 if I include this one). This is a poor average, even by my procrastinating standards. I blame the cycling. Most of the spring and summer was spent training for the big bike ride, with little time spent blogging. Better time management for the coming year is called for. It has to be the one with the crochet hat that included an easy-to-follow, free pattern. I loved making my hat. I love wearing it in the cold as it keeps me snug and warm. Did I mention the lovely compliments that inevitably follow? would be my review of the iPhone X. I adore my new phone and admire its gorgeous features almost every day. Yet I struggled to write about my experiences with this marvellous piece of tech. It could be because it left me so overwhelmed that I was lost for words. Won’t be the first time when emotion has rendered me speechless! is the one about the emergency phone card for children. Something so simple, yet with the potential to make a huge difference. Please, please, if you read and share just one post from my blog, make it this one. was the one about introverts making successful bloggers. Controversial? Ironical? Perhaps. But it certainly provided food for thought. my poetic take on the ICC Champions Trophy final. If you love cricket and love to read, this is for you. Sadly, there are not many that share these dual passions. Hence the lacklustre and lukewarm response to what was an intensely emotional piece to write. was how well a couple of my videos were received on YouTube. My channel is just a fledgling with a small following. But the response to these videos took me by surprise. Here is one that was my absolute favourite – fun to make and fun to watch. Now did that help me plan a blogging strategy for 2018? Maybe and maybe not. But it was fun flicking back through my blogging memories and now I am stuck with a grin on my face. Not bad, considering I opened this post with a morose and somewhat depressing tercet. 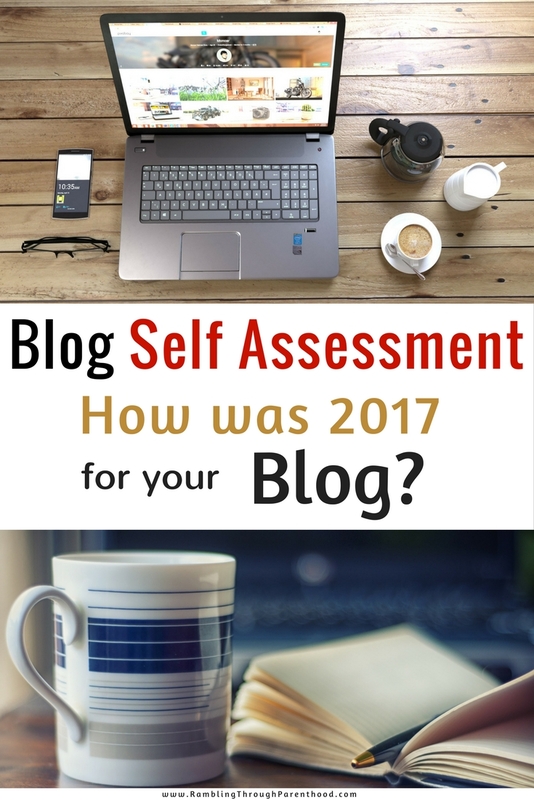 Have you done a blog self assessment for 2017? I am tagging the lovely Zena (Zena’s Suitcase), Tas (Not My Year Off), Claire (Girl Geek Up North), Katie (Living Life Our Way), Caitlin (Real Mom Recs), Jaki (Jakijellz), Laura (Miss LJBeauty) and Jennie (Rice Cakes and Raisins) to do theirs.